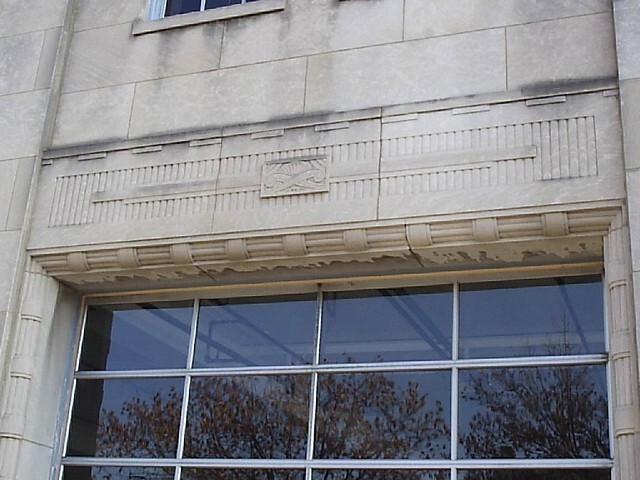 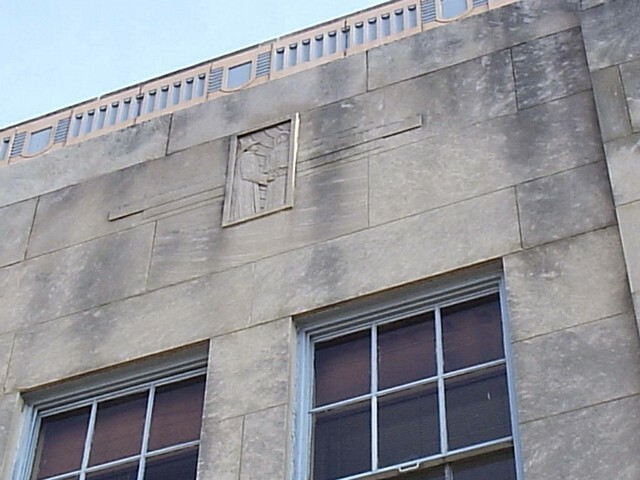 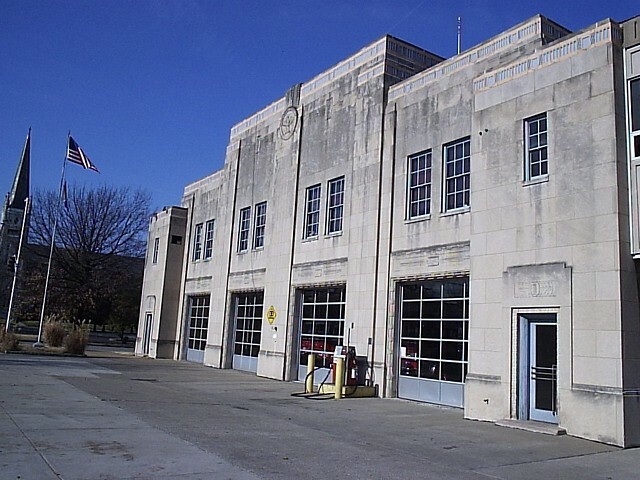 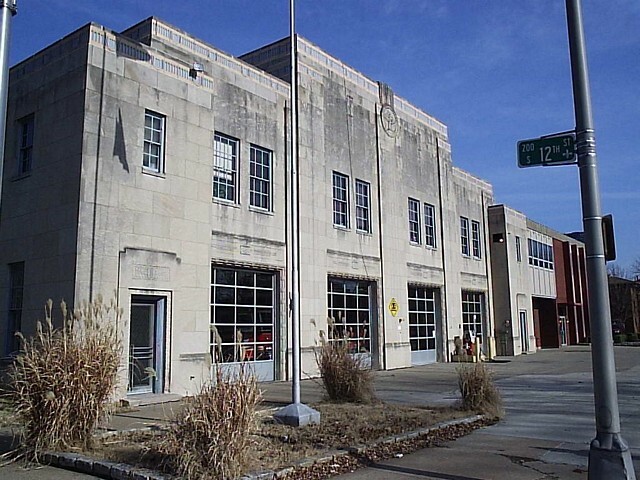 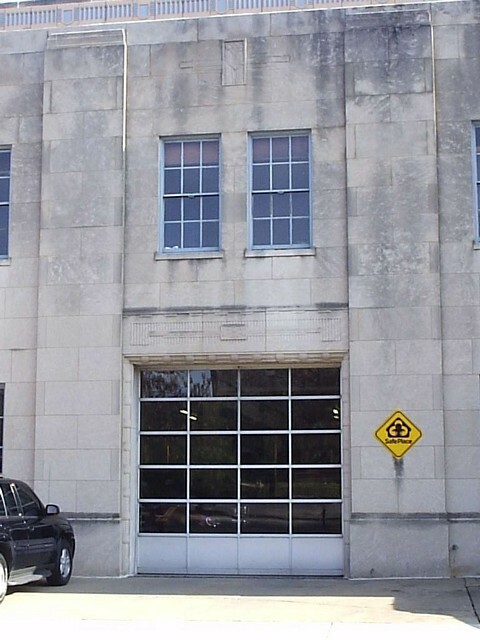 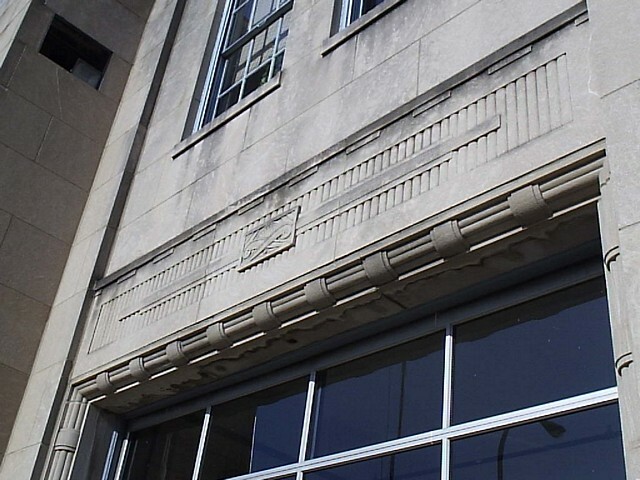 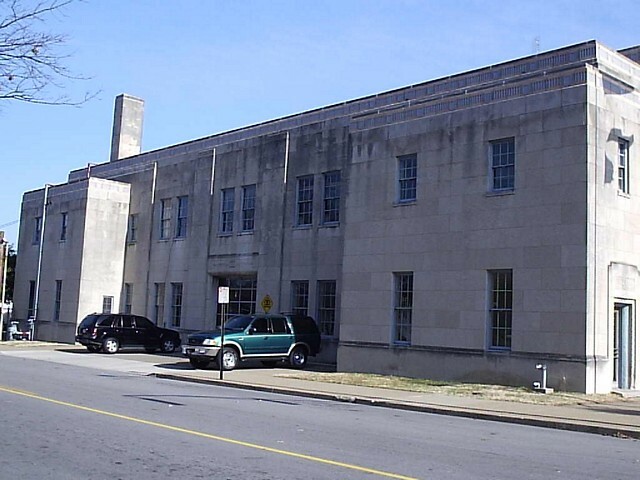 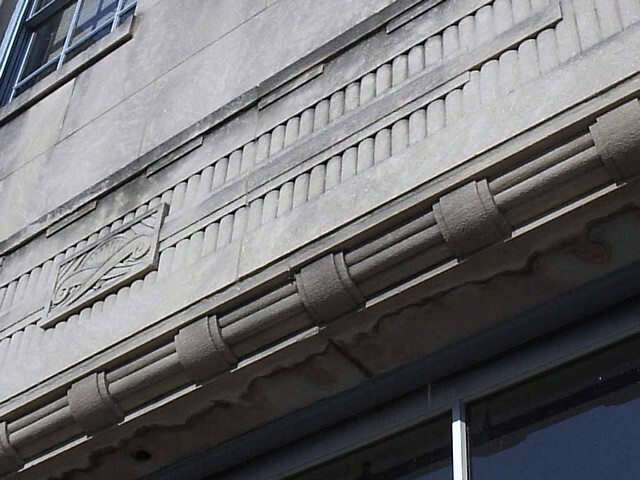 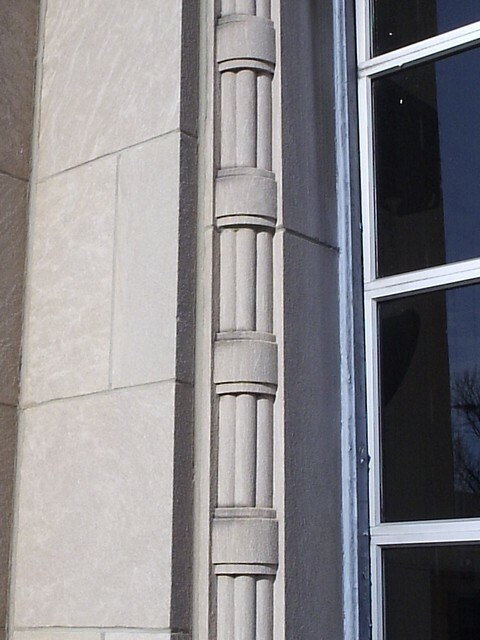 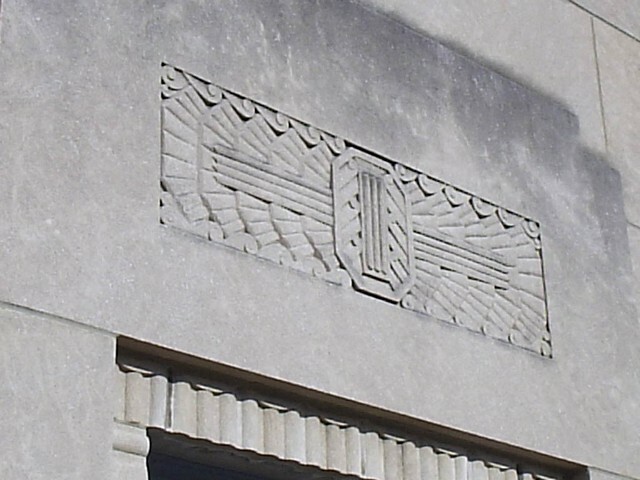 The Louisville Fire Department Headquarters is on the National Register of Historic Places listed as "Art Deco" for its architectural style. 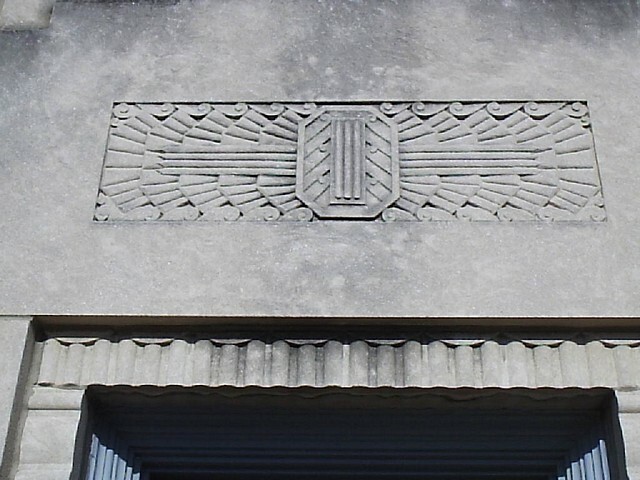 The architect was Brinton B. Davis. 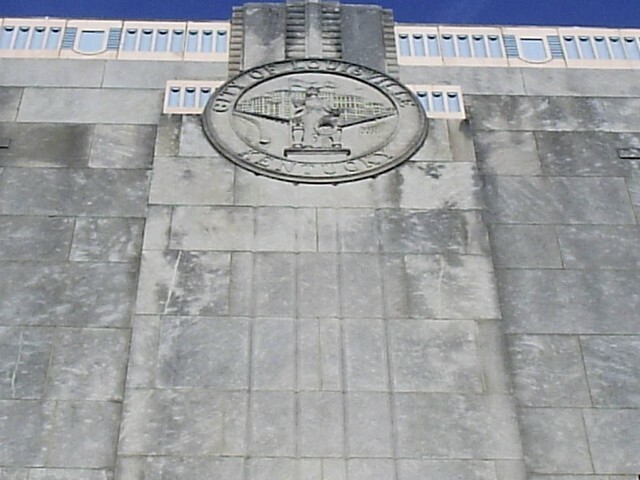 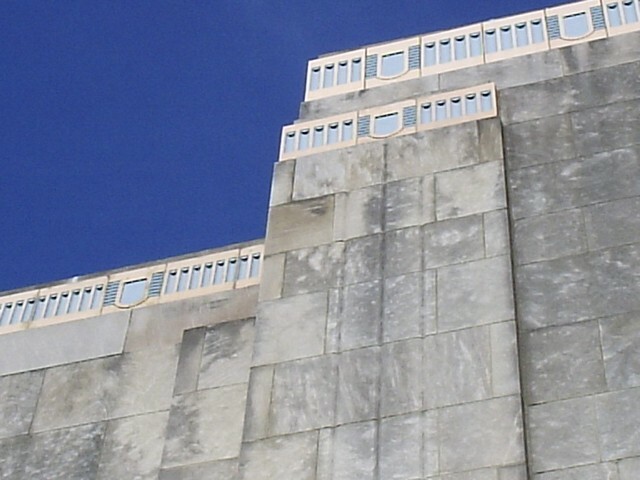 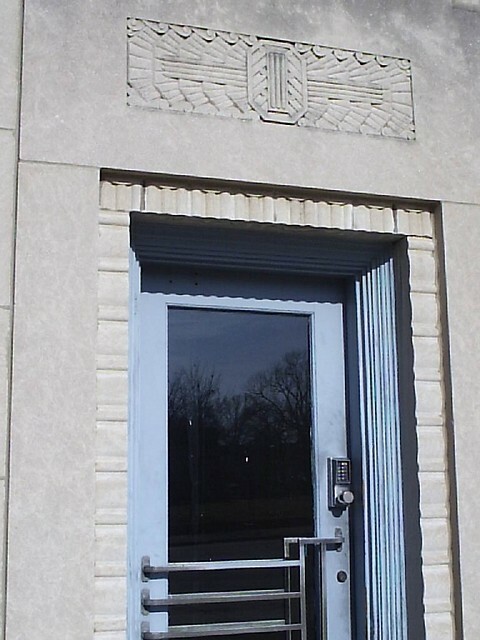 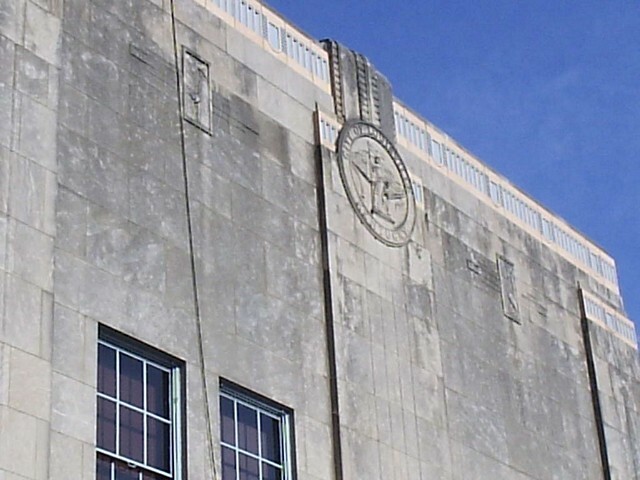 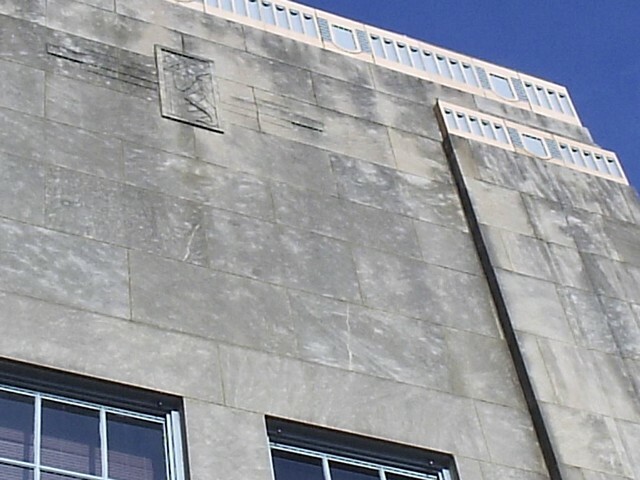 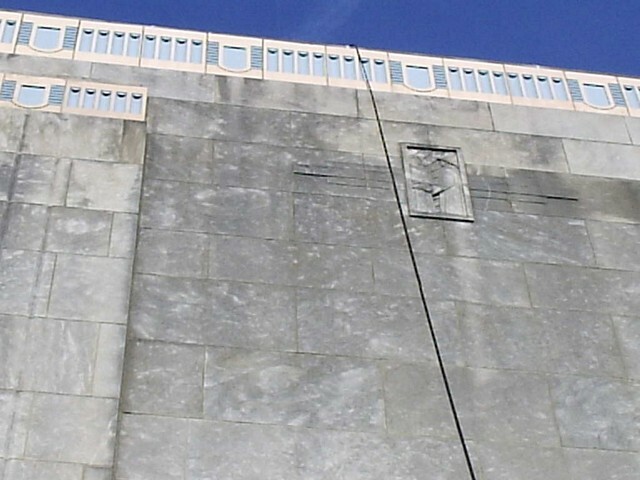 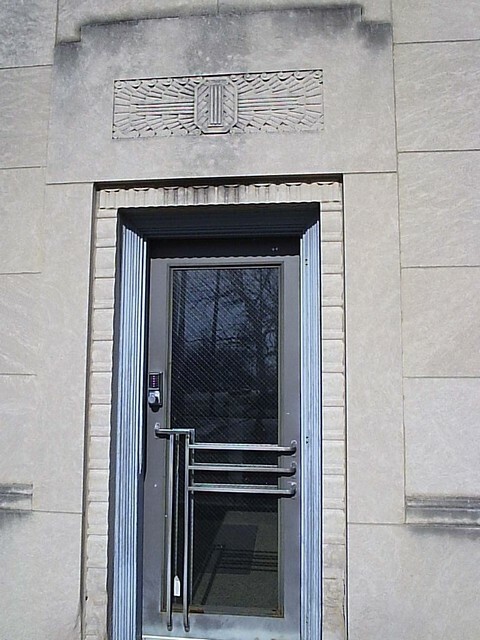 It was a WPA (Works Project Administration) project, and construction started in 1936 and completed in June 1937. 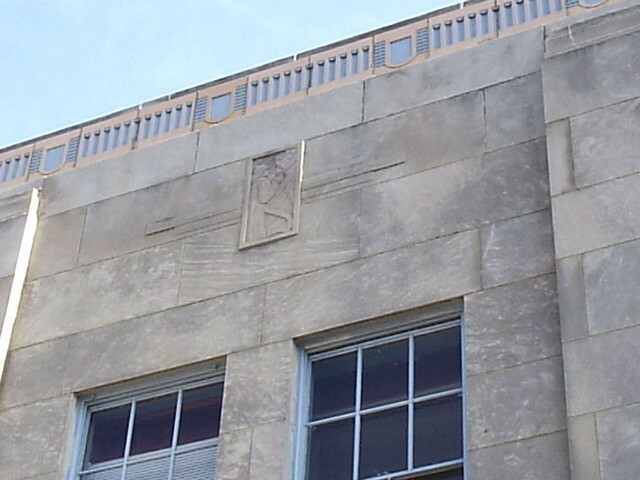 It's located at 1135 W. Jefferson Street, between 11th and 12th. 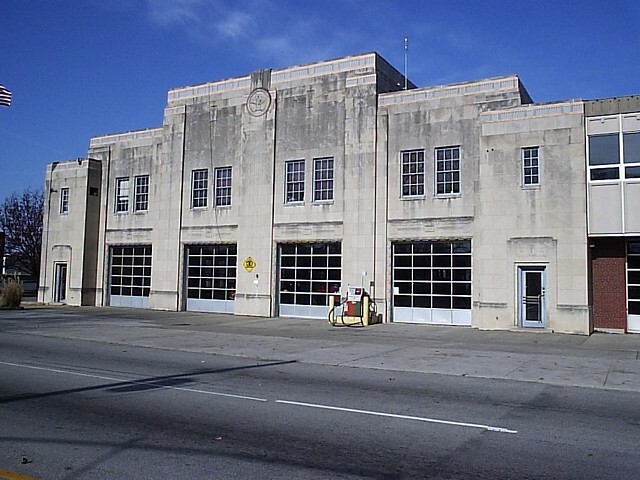 I was extremely pleased to find this beautiful building! 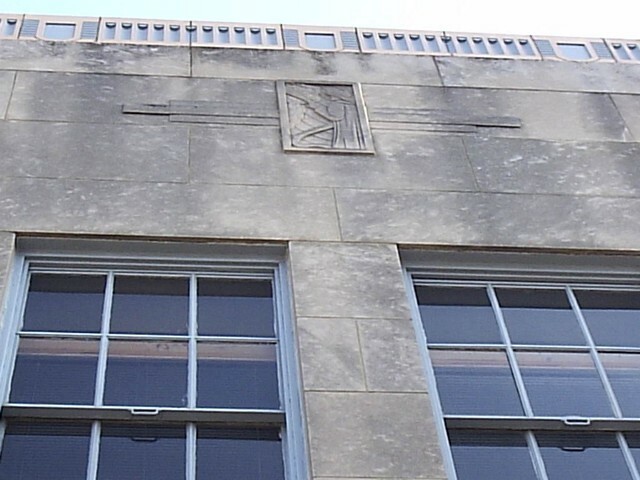 I just wish I could have gotten better close-up photos of the several carvings on the front and side towards the top of the building. 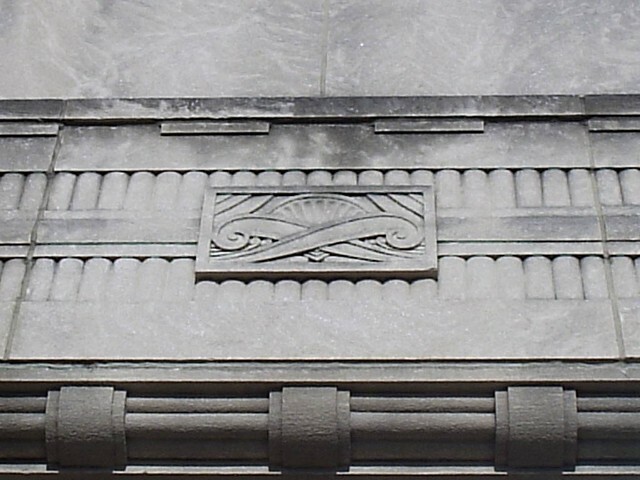 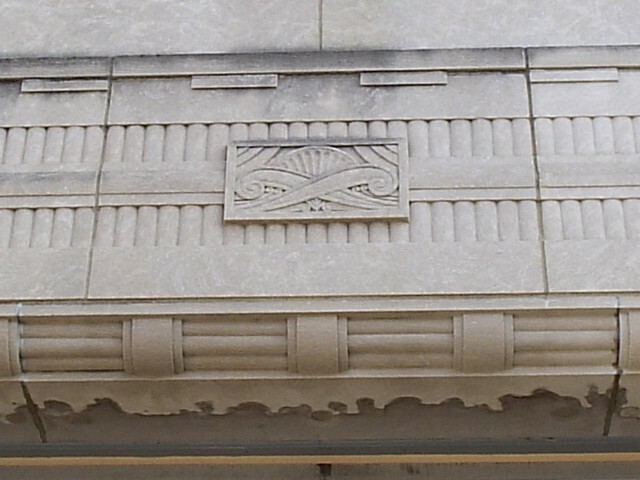 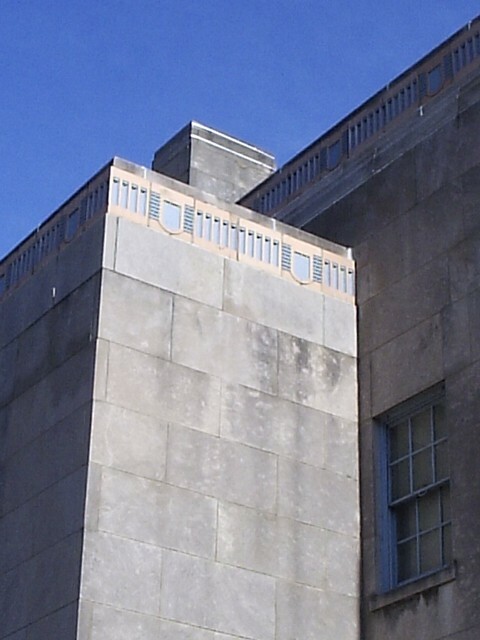 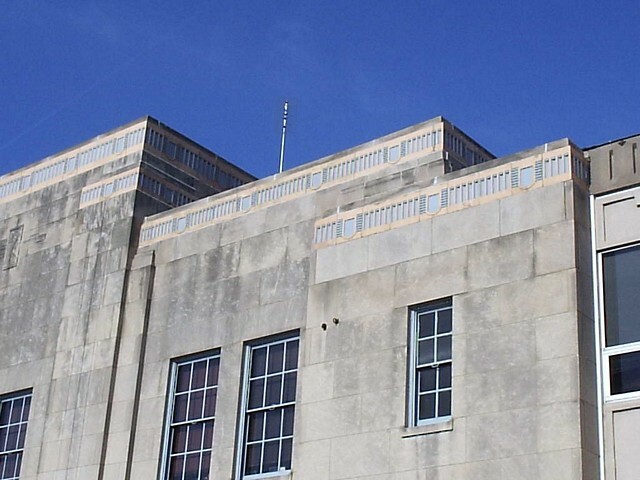 The colored decorative edging along the rooflines is brass, according to one reference.